SnapCacklePop: Guy Sebastian speaks up for representing Australia at Eurovision Song Contest 2015..! Guy Sebastian speaks up for representing Australia at Eurovision Song Contest 2015..! 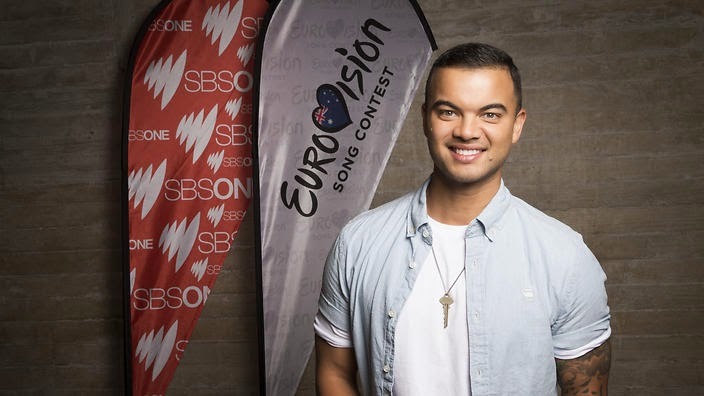 Yesterday SBS announced that our singer/songwriter and ARIA Award winner Guy Sebastian will represent Australia at the 60th anniversary of the Eurovision Song Contest to be held in Vienna, Austria in May. This is the first time in Eurovision history Australia has been invited to compete at the contest as a wild card entry to celebrate 60 years of Eurovision and follows Jessica Mauboy’s guest appearance at last year’s event. With 51 platinum and seven gold certifications Guy has become one of Australia’s most successful male artists. In 2013, his single Battle Scars went Platinum in the US, making Guy one of few artists in Australian music history to achieve this. His performance at Eurovision is an incredible opportunity to introduce Guy to European audiences. But was this the plan all along? Check out Guy chatting to ABC News of his new appointment in the below video, where he speaks of using one of his own songs from his recent album Madness and confirms he will not be wearing hotpants..!